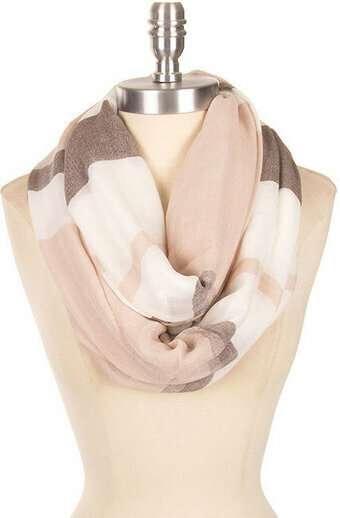 Beige 100% Acrylic Check Pattern Infinity Scarf. 17.7" x 33.4". Flat size approximately 88" x 24". 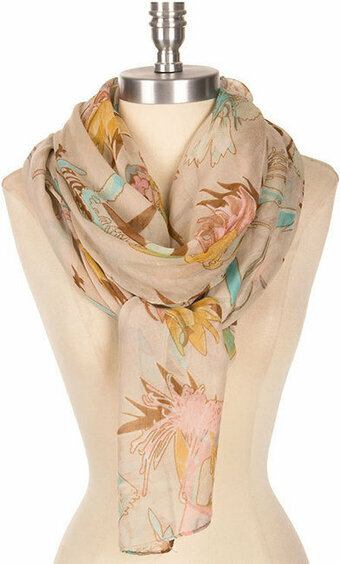 65% Polyester, 35% Viscose. 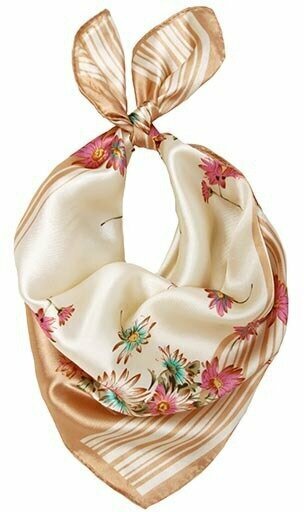 Beige 100% Polyester 23"x23" Abstract Satin Scarf. 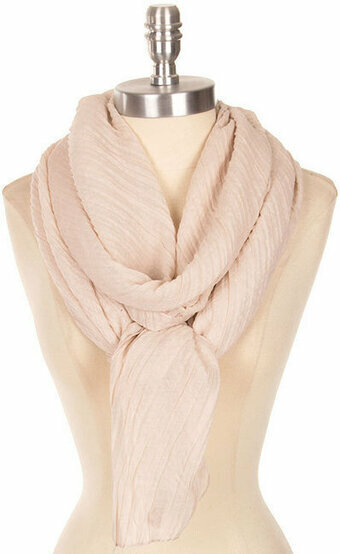 Beige Polyester Woven Mesh Oblong Scarf With Fringe. 20" x 64" + 5" Fringe. 9.8" X 61". 100% Polyester.